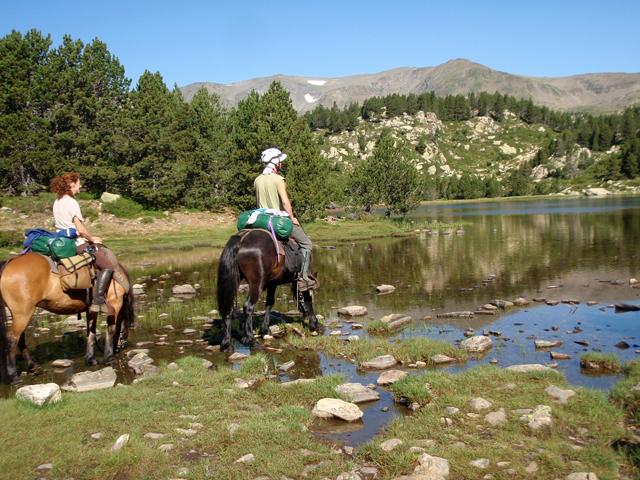 This spectacular 6 day horse riding holiday in the Pyrenees Orientales is for any horse lover who’s looking for an authentic experience on which they’ll be truly immersed in Nature. This is a trek that will rejuvenate the soul. Corny but true. 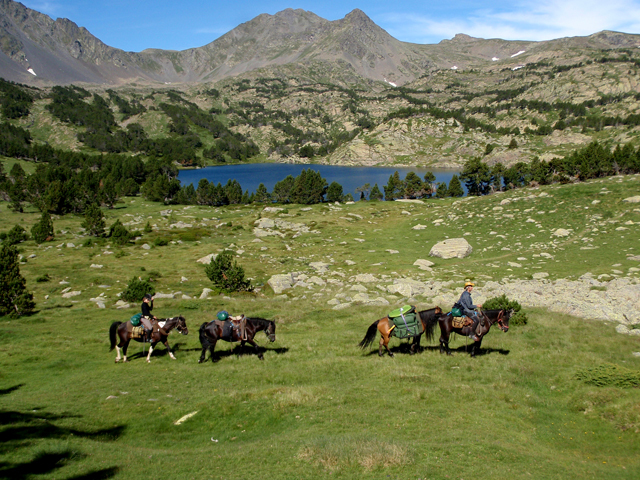 Your mount for this small group horse trek (max 8 people) is a Merens breed of horse, good-natured, sure-footed and native to the Pyrenees. It will take you up to a fabulous grandiose mountain landscape where you’ll ride in the shadow of jagged rocky ridges and beside pristine high mountain lakes. You’ll spend 2 nights under canvas where you’ll cook over a camp fire before retiring to your sleeping bag for a comfortable night under the stars. 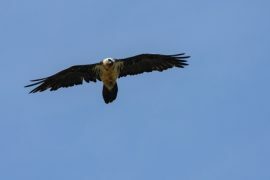 In such an environment it’s not surprising that you may see all kinds of wildlife during your horse trek such as chamois, ibex, marmots, vultures and eagles. Be sure to pack those binoculars! 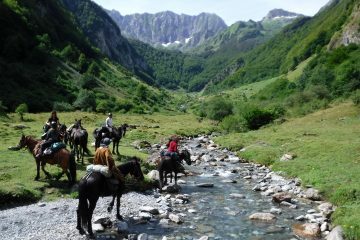 Your horse riding holiday will continue through pine forests and alongside fast flowing rivers, down to the valleys before climbing back up into the mountains again. 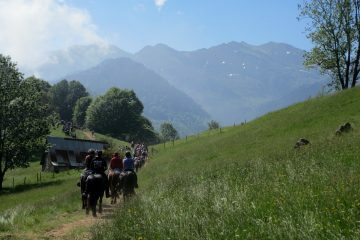 Apart from your very special camping experience you will also stay in a hotel, a hostel and on a horse breeder’s farm where your immersion into the world of the Merens horses will be complete. 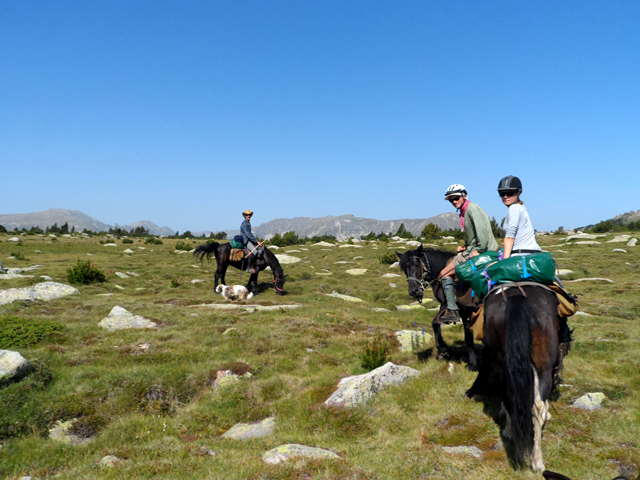 Your options for reaching the starting point for your horse riding at Porté Puymorens include a direct train from Toulouse main Matabiau rail station (approx 52€ return) or a transfer from either Carcassonne or Toulouse airports (approx 120€ return). Let us know your preference when you enquire. Your first and last nights will be spent in a comfortable hotel in Porté Puymorens which will be on a full board basis for the first night and half board the last. 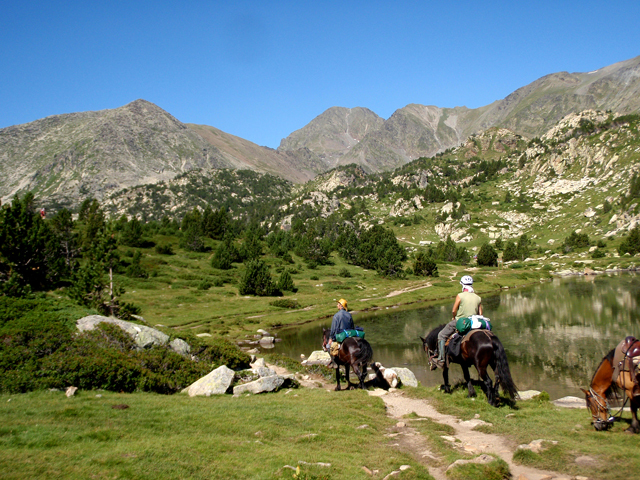 You will arrive in Porté Puymorens the evening before your horse riding holiday commences. Your guide for the trek will meet you at your hotel and talk you through your pending horse riding adventure. 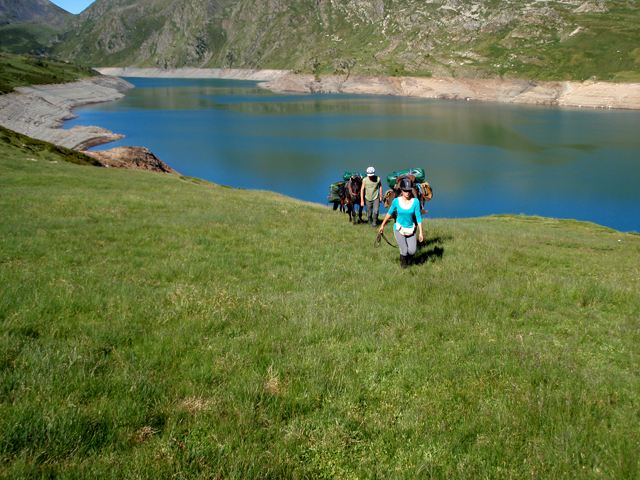 You’ll leave the valley at 08h30 and start on your trek up to the largest lake in the French Pyrenees, the Lac de Lanoux. 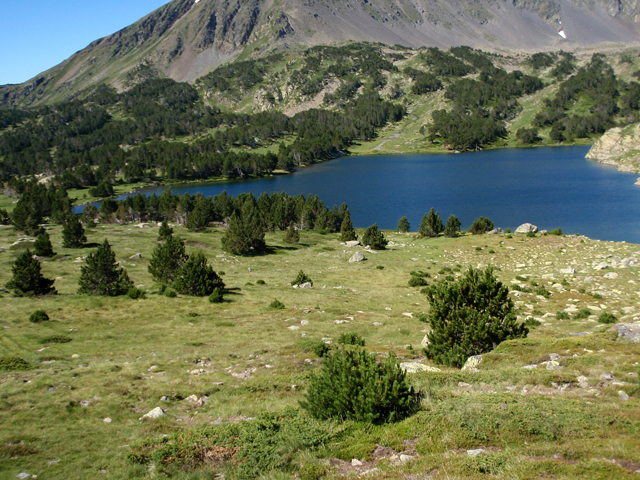 On the way you’ll pass through the valley of Porté Puymorens which is dominated by the Pic du Carlit, an impressive sight of rock fields, morain and jagged ridgelines. The landscape changes as you contour the mountainside up to a dam where you’ll ride alongside the lake to your camping spot for the night. 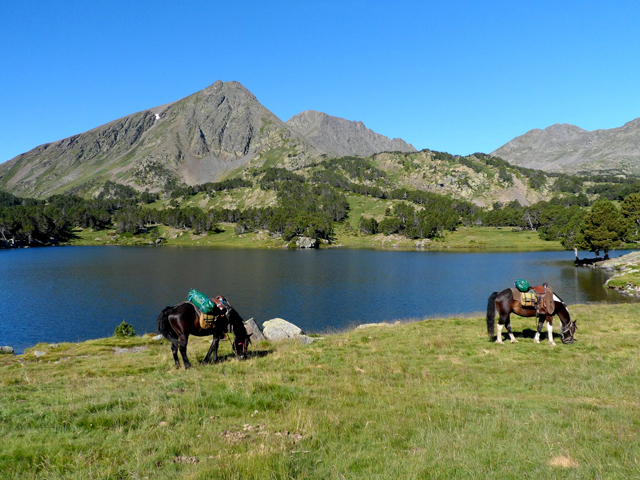 From the northern tip of the lake you’ll follow the river course to reach the open space of the high pastures with far-reaching views to the Madres mountains. 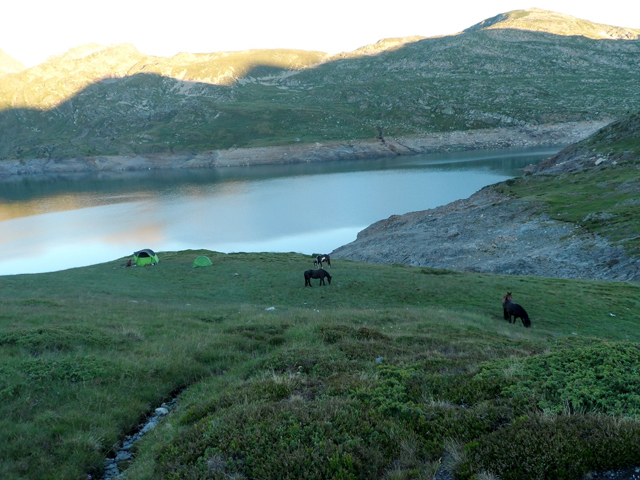 Your ride continues up to below Pic Péric and the magical site of the Camporeils lakes where you’ll spend the night either in the refuge or under canvas. 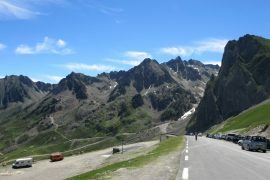 Your day will begin with a climb up to la Muntanyeta from where the views back down to the étangs de Camporeils and to the pics Péric are spectacular. 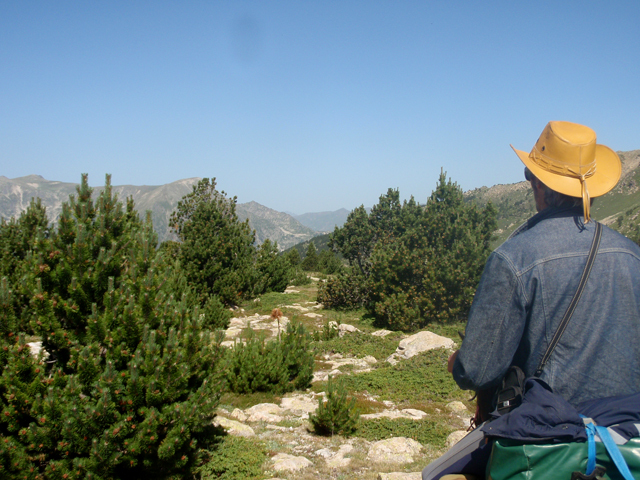 The ride continues on paths through woodland and across mountainsides with more great views down to the Vall de Galba. 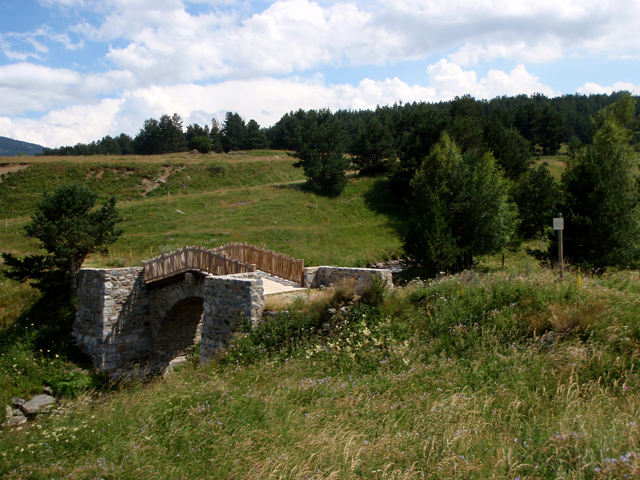 You will continue descending until you reach the village of Matemale where you’ll spend the night in a gite. 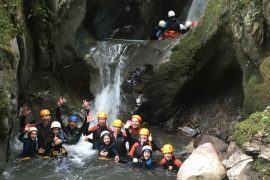 You’ll appreciate that hot shower after 3 days on horseback! The day will start with a ride along forest tracks to reach the Têt valley where you can have a welcome break in the shade of the trees. The ride continues along the river course, still under that welcome tree cover. 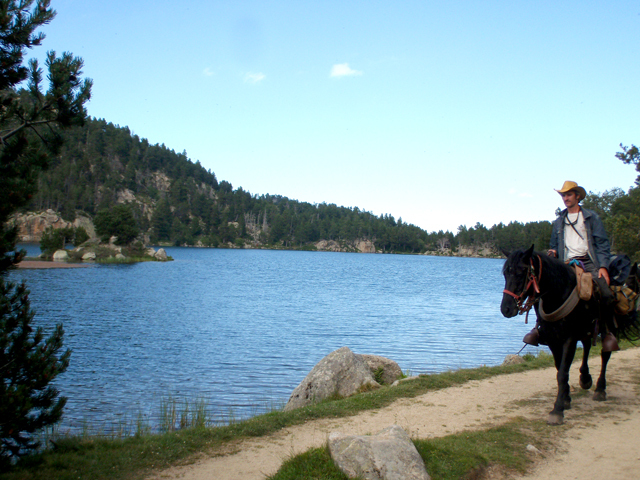 The final part of today’s ride takes you past a picturesque series of small lakes before reaching the Lac des Bouillouses and the hotel where you’ll spend the night. You will no doubt welcome the shower and comfy bed! 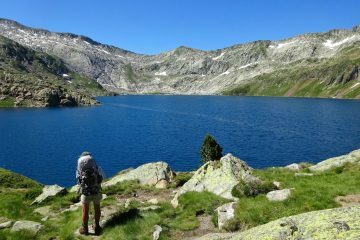 Today includes some of the most beautiful scenery of the trek, the lakes around the Carlit massif. You’ll make your way through mountain pastures criss-crossed by streams before taking a track that leads you through little villages with views down onto the plains. On old tracks and paths you’ll finally make your way to a traditional farmstead where you’ll enjoy good food and a bed for the night. On your final day you’ll enjoy panoramic 360 degree views from Andorra through to the highest peak in the eastern Pyrenees, Pic de Canigou. 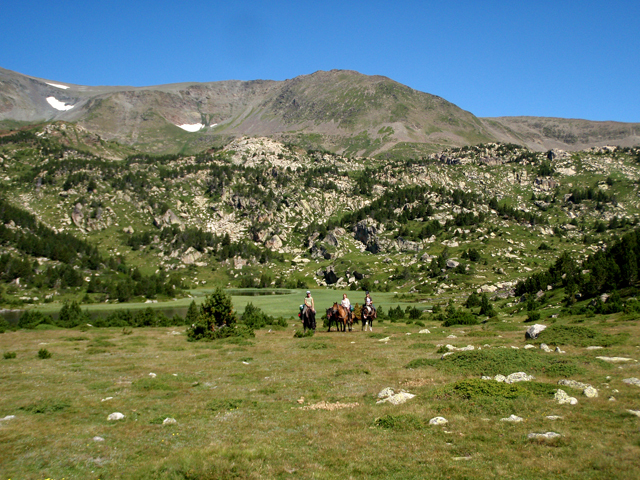 Your faithful horses will take you back to Porté Puymorens by way of mountain slopes (look out for the herds of deer or chamois), cols and valleys finishing with a spectacularly beautiful final path down to the village where your hotel room awaits. You’ll no doubt have become quite attached to your horse over the course of this horse riding holiday, but it’s time to say goodbye and return home. A bientôt! It’s a pretty special experience if you’re a horse lover, for sure.